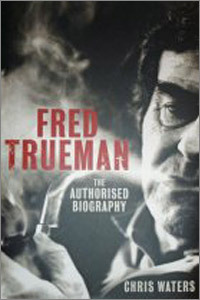 Cricket correspondent of the Yorkshire Post, Chris Waters, has written an admirable and full biography of one of England’s finest and memorable fast bowlers in cricket history and this book encompasses Fred Trueman’s entire life from his birth in 1931 to his death in 2006. Drawing on a wealth of interviews from cricketers to family, friends and work colleagues the book has been very well researched as evidenced by the nine page bibliography and the reader is treated to an in-depth study of this frequently controversial fast bowler from his rise to prominence through his cricketing career, life as a family man and broadcasting career and other outside interests. We learn of Fred Trueman’s background, his family and influence of his father, a strict but fair man and the family’s difficulties in affording cricket gear and clothing. We find out how the extremely talented Yorkshire side of the 1950s was subject to much bickering with so many strong characters and were the usual bridesmaids to Surrey in the County Championship. The statistics of not only Trueman but other fast bowlers make staggering reading. Not only the colossal number of wickets taken each season but usually at a nominal cost and the remarkable number of overs which bowlers bowled in comparison to bowlers more recently. After his retirement in 1968, Trueman’s uneasy relationship with Yorkshire CCC continued although he did have a brief spell with Derbyshire in 1972. Afterwards, he endured a few failed business ventures but became a recognisable and decent TV presenter before moving onto the Test Match Special commentary team. There is a memorable chapter of some of the most amusing moments. Chris Waters regularly brings in examples of Trueman’s very quick repartee throughout the book. The reader gains a tremendous insight into Fred Trueman’s character from this book. Behind the brash exterior there were insecurities and a softer side and Chris Waters catches the essence of Fred Trueman admirably and gives us the fullest story yet of the man who once described himself as “t’finest bloody fast bowler who ever drew breath” and I can recommend this book wholeheartedly.